I don’t blog nearly as much as I used to. When my child care business grew two years ago, I knew my time to write would be limited. I also have been limiting my time on social networking sites. I don’t read as many blogs as I used to. As my kids have grown older, their need for privacy has increased. I am not one of these moms who wants to share on Facebook about every single activity my kids are doing or what emotions they are experiencing or our daily schedule. In the past couple months I have felt this need for living life outside of Facebook posts. Sometimes I feel like we might over post because we are looking for attention and/or validation we are not getting elsewhere. I have to embrace the relationships and real live friendships in front of me to find the joy of living life’s moments. With that being said, the holidays is a time I like to blog. I have done the December photo project the last three years (one year I did not complete it) because it helps me focus on the day to day joys of Advent and Christmas. This Christmas is unique as we will be seeing the husband’s parents here in Oregon a week before Christmas. Then we will be spending a good part of the holiday break on the Atlantic coast in Virginia with my family. 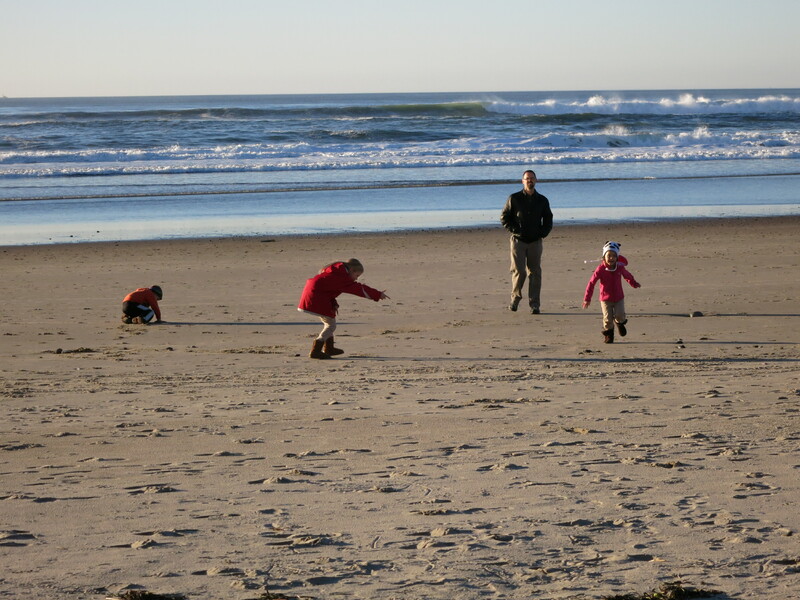 There have been many Christmases since we moved to Oregon when we have seen no extended family. So this is a real treat for all of us. 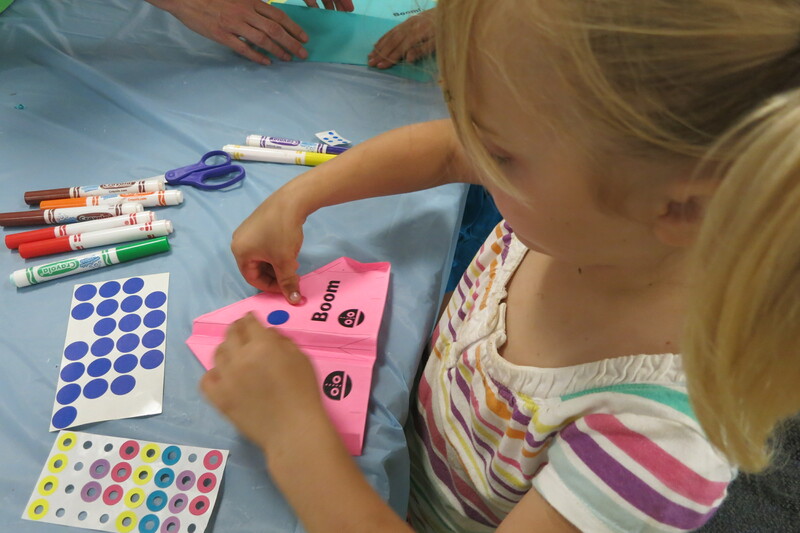 There will be plenty of Christmas programs, holiday parties, gift wrapping, baking and Christmas crafting sessions. For now I want to focus on Thanksgiving weekend. For the past three years I have run in the Keizer Turkey Dash 5K on Thanksgiving morning. 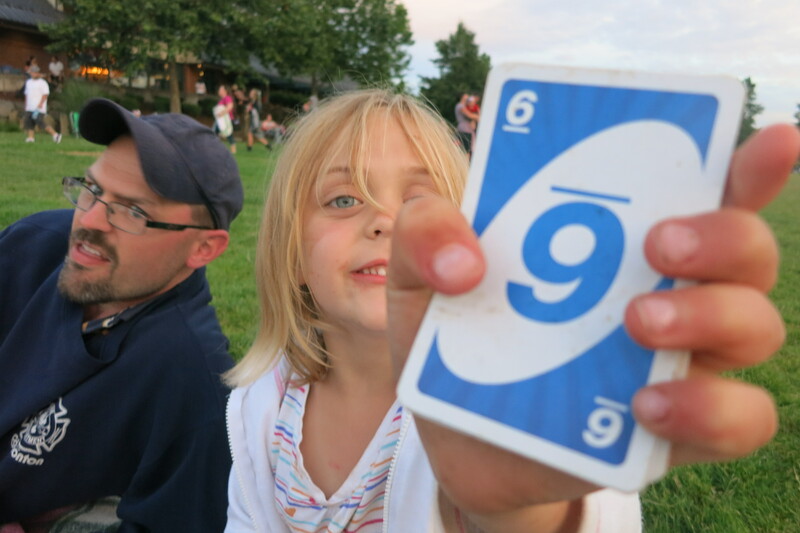 This year my eight year old and I ran it together. We began training shortly after school started. Due to my full schedule I could only run with him about one to two times a week. I figured with PE at school and the fact he is active when he plays in the backyard–that would be enough. I was impressed when he could run two miles without stopping and then three! His final time was 35:56 which is about ten minutes fast than last year. Although last year he was sick and insisted on running it anyway. And he had not trained as much. Still ten whole minutes! I wish I could shave ten minutes off my marathon time–I might be able to qualify for Boston. We had perfect weather. No rain in sight. It was a little colder than normal, but we bundled up. He says he is going to miss our weekly runs and wants to do another race soon. We’re looking at a Christmas or MLK King Day run. The problem with Oregon is we can get very nasty rain that time of year. I ran a 1/2 marathon last year in December and nasty, windy, pouring rain. It took hours for my body temperature to get back to normal. Every Thanksgiving since we moved to Oregon, we have celebrated with friends. This year we celebrated with the same friends we celebrated with last year. 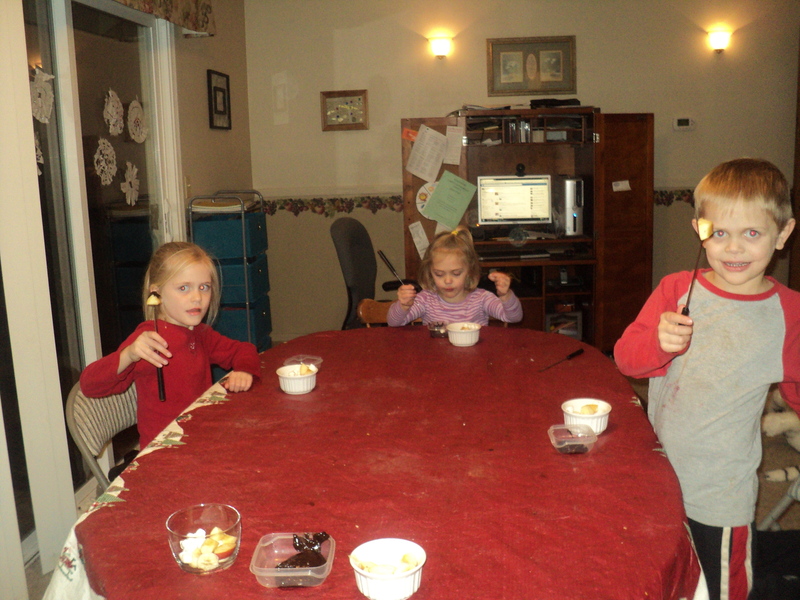 It was fun to have an established tradition of a big meal, game, and dessert. It was a nice relaxing day spent with people we enjoy. The kids even got to play outside for a bit in my friend’s big front yard. 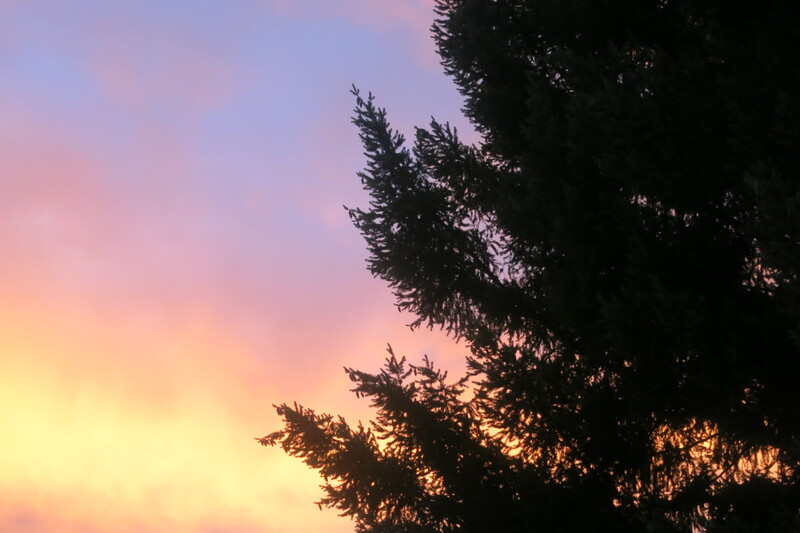 They can see the best sunsets from their front porch as well as the coastal range mountains. 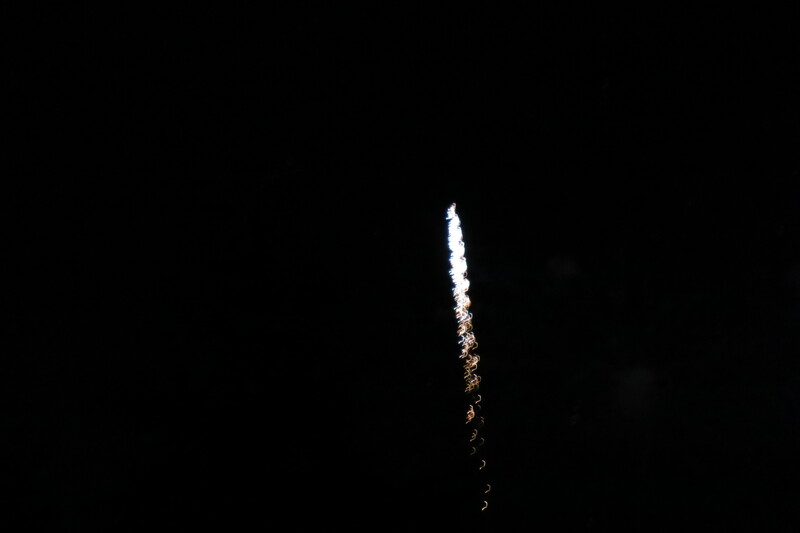 In the early evening we noticed black smoke in the distance and heard fire trucks. My husband has an app on his phone that has all the police and fire calls for our city. There was a house on fire only a few streets over that quickly escalated into a three alarm fire. The smoke got thick and black and we could start to see the orange glow of flames. As we left to go home there were fire trucks lining up and down the road and we saw how bad the fire was. It made our news and the house was a total loss. Thankfully no one was killed or hurt. It was only a few weeks ago I lead a devotional for our seniors group. I shared about storing up treasures in heaven and not on earth. Our true treasure is the hope of Jesus Christ as our Lord and Savior who paid the price for our sins. This treasure brings us peace in times of trial like house fires, floods, terrorist attacks, ill health, depression, family dysfunction, etc. Nothing or no one can take away that treasure from us. I was reminded again as we saw this family’s dream home dissipate into flames. When I was seven years old we had a small fire in our house that only destroyed a lamp, part of the couch, and part of the wall. By God’s grace, my parents discovered it the moment the lamp sparked and put it out before the fire department arrived. When I was a sophomore in college, my floor in my dormitory caught on fire from a cigarette thrown in the trash can. When I exited my room flames were shooting up to the ceiling in the hallway. In both those situations you don’t think about grabbing everything you own. You just go and get out of there. You remember what is most important in your life. So this Thanksgiving, I am thankful for my faith in Jesus Christ and how God has led me on this incredible journey with its own twists and turns. I am thankful for my family, my extended family, my church family, my friends, my jobs, and this beautiful part of the country we call home. I pray that throughout this conclusion of Thanksgiving as we move into Advent, I will continue to focus on that true treasure of Christ’s coming into the world. Can I just say how much I love summer? 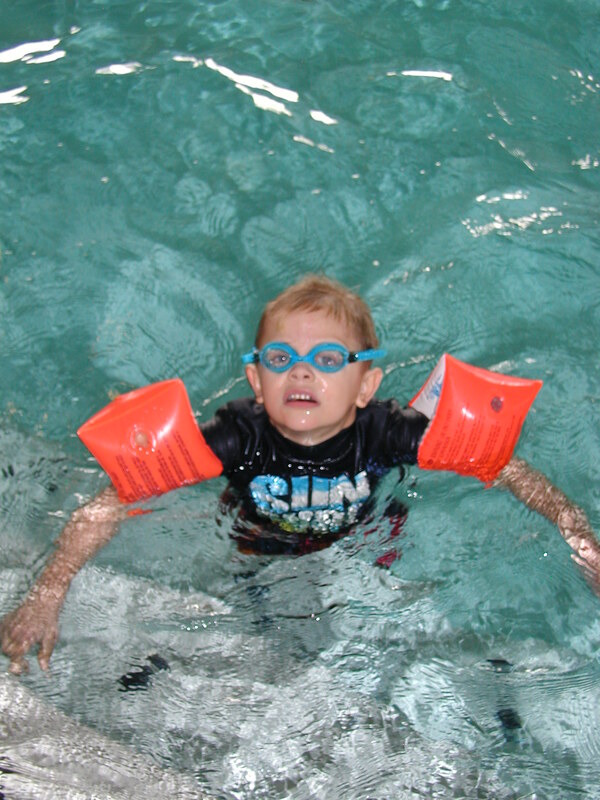 I love swimming with my kids. 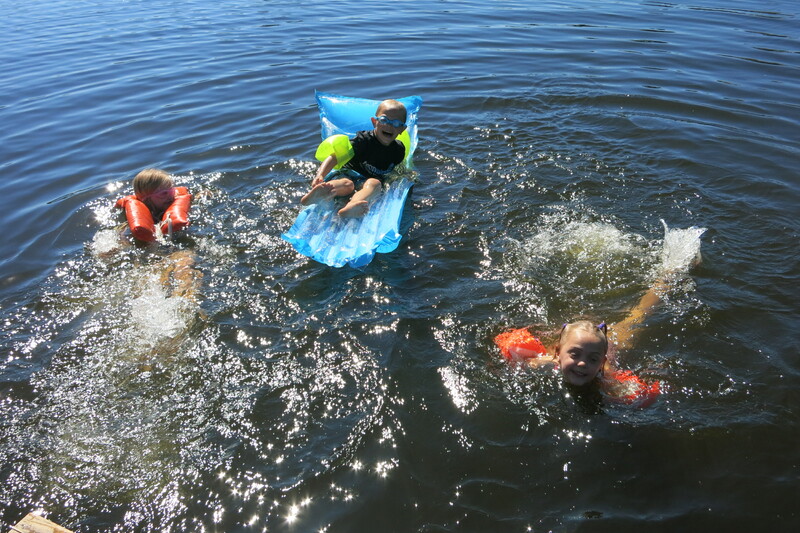 Last week Monday my friend invited us over to swim in their lake. Because we all love the water, we cannot turn that kind of invitation down. This is the same lake I trained for my triathlon on. The water and warm temperatures were perfect. We had hot dogs over the fire afterwards and smores. On Tuesday my husband had to do a visit in Silverton so we came along. 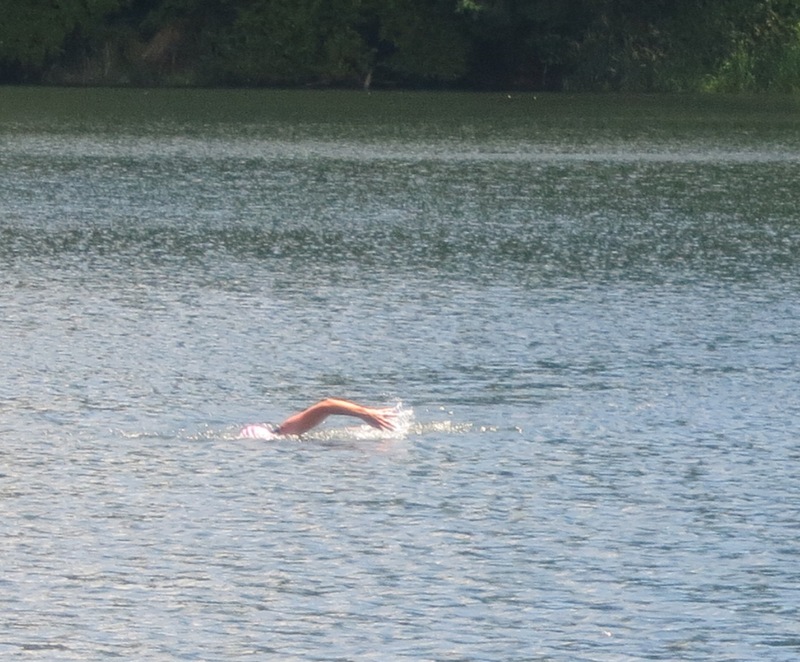 We swam at the Silverton Reservoir where I also did a few training swims for my triathlon. Because it is mostly a fishing area, we had to be very careful about fish hooks and glass. 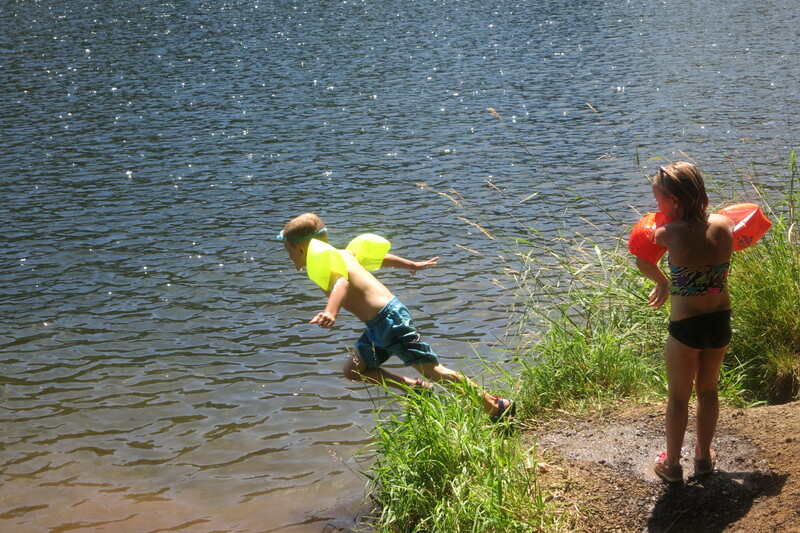 The kids had to swim in their shoes. There was a little place to jump off the bank into the water. I even got a training swim in. I get a little more concerned with swimming with my kids in the open water. 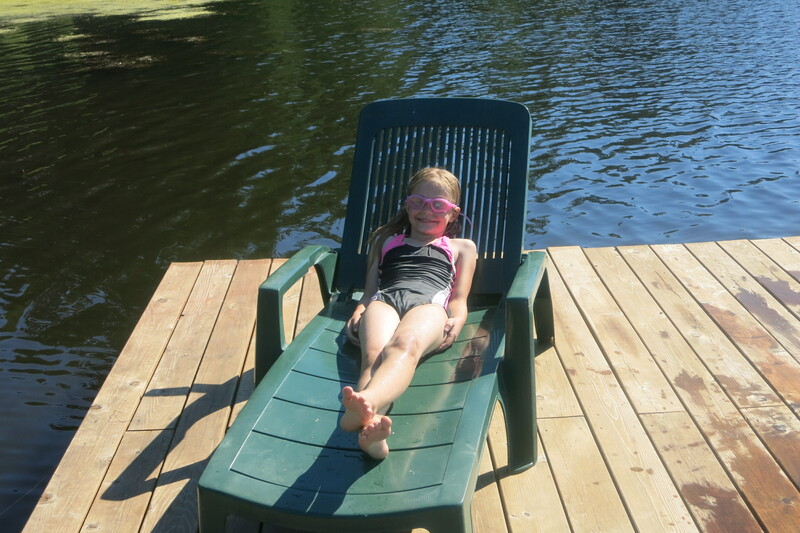 Even thought my oldest is an excellent swimmer for an eight year old, I still have her wear a life jacket. 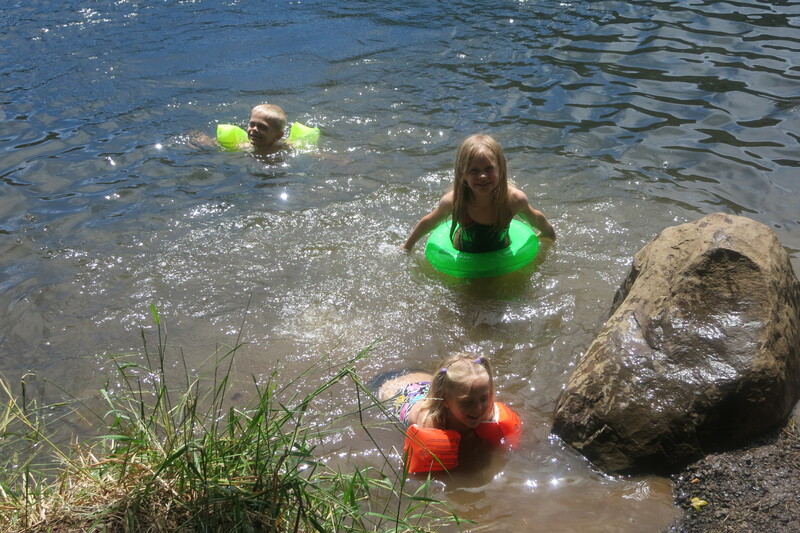 We’ve had a large number of drownings in the area the past couple weeks. Many of our lakes and rivers have not warmed up yet and people don’t expect the cold temperatures. 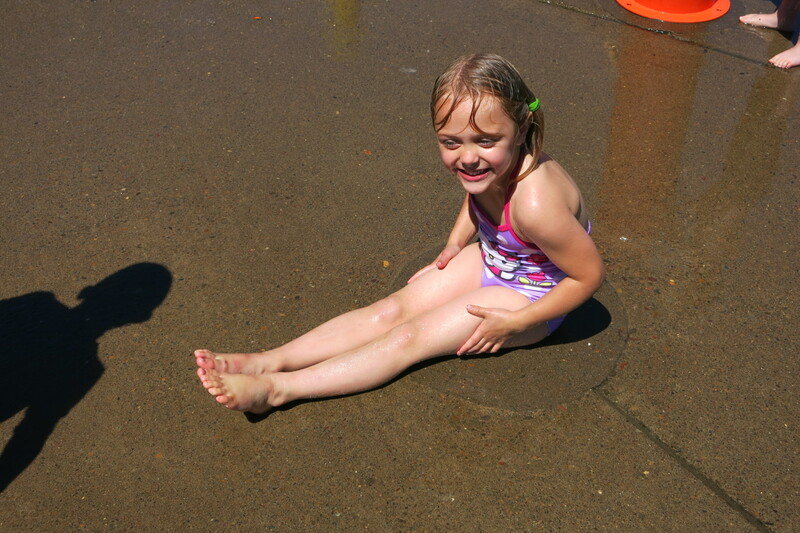 Our swim areas tend to be more rustic and not as user friendly as the Midwest beaches I grew up going to. You have to be cautious about drop-offs, rocks, and currents. On Wednesday we met friends at a local park and on Thursday we relaxed at home. I did not take any pictures those two days. 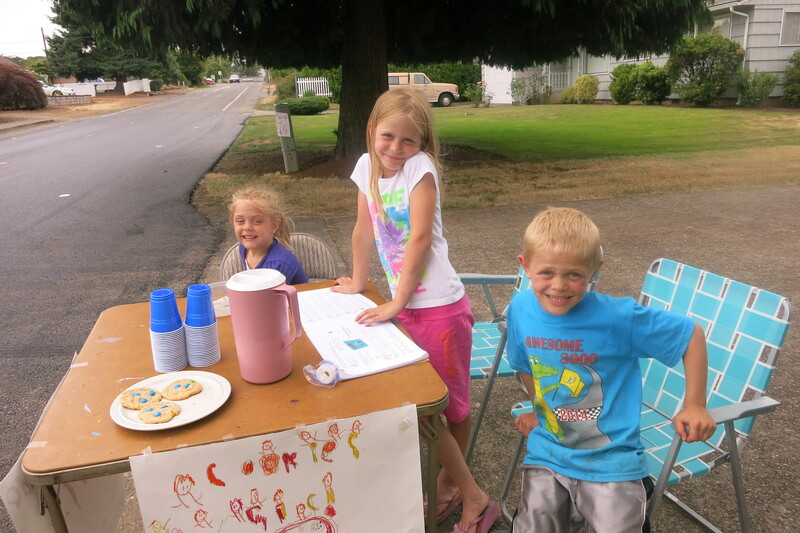 On Friday the kids had their annual lemonade stand for the Prostate Cancer Foundation. They had it from 4 PM to just after 5 and got lots of customers. Everyone was coming home from work. We also made M & M cookies. 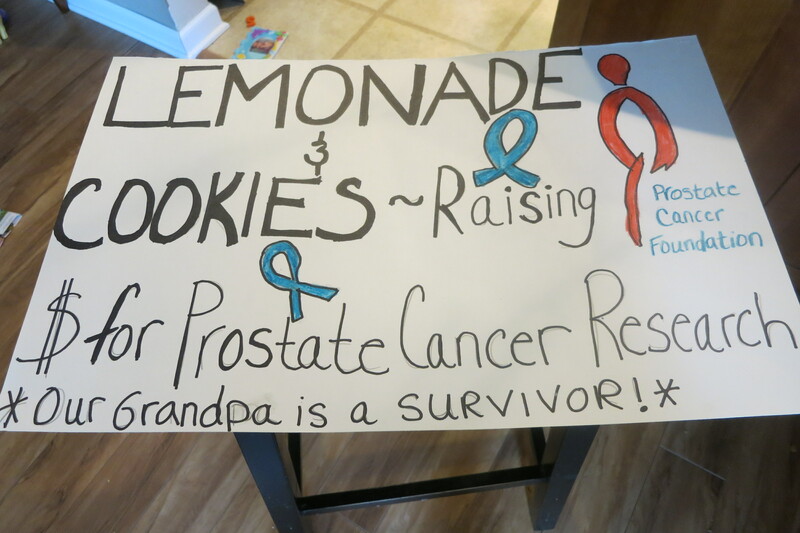 I race for Prostate Cancer awareness because my grandpa passed away from it in 1989 when I was in junior high. My dad is a survivor. Friday night we saw the most beautiful sunset. Saturday was my triathlon. Sunday we had thunderstorms all day. For us thunderstorms are somewhat of a treat because we rarely get them. We have had abnormal humidity this summer and high temperatures. Some complain about the heat, but I kind of like it. It makes it feel more like summer. 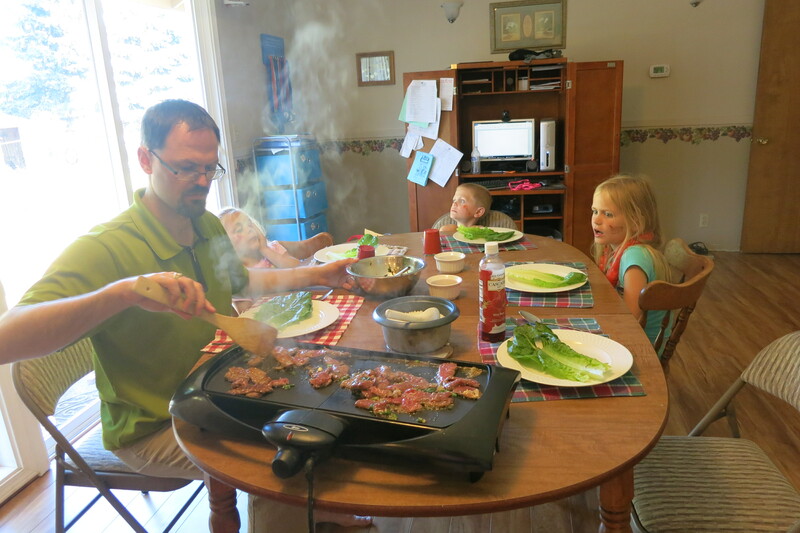 Week #4 4th of July Week! It was 4th of July week and it started out with temperatures climbing into the 90’s. 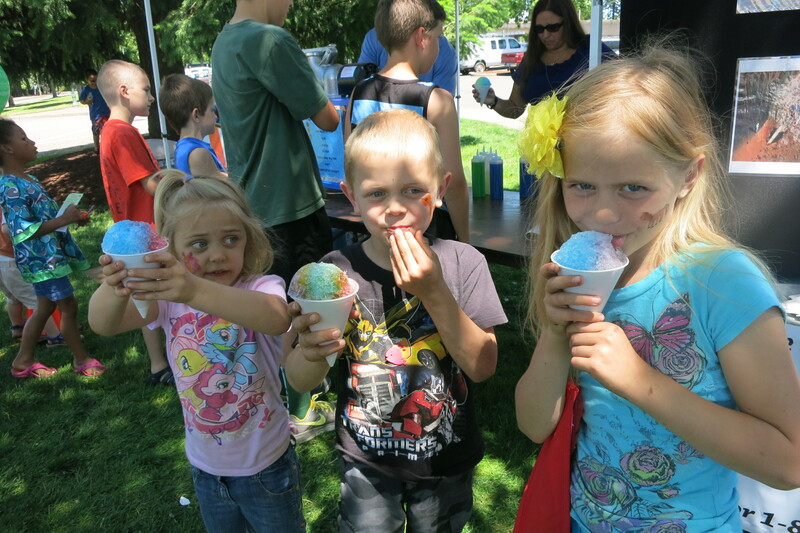 So that meant cooling off at West Bennet Park. 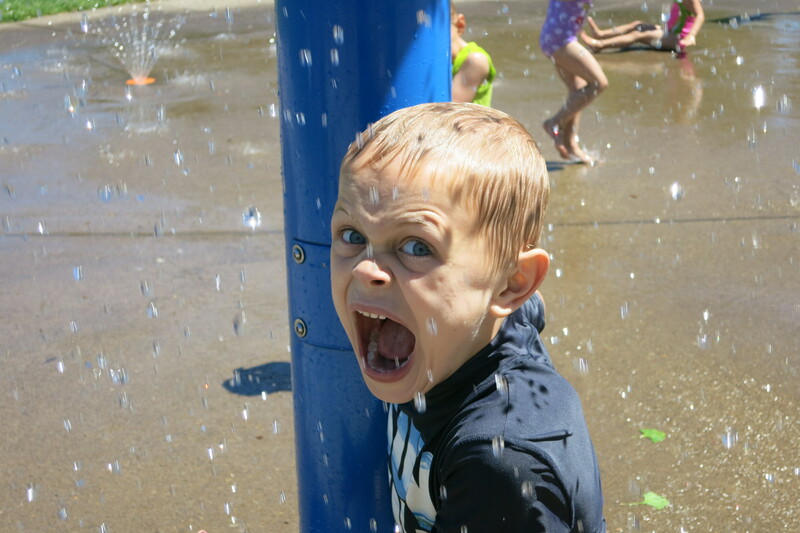 The kids love the spray ground which is located right next to the playground. So they can easily run back and forth. Some silly kid (not one of mine) got this bright idea to stick a towel in the drain clogging all the water thus creating a wading pool. Not a bad idea, really. The beautiful thing about Oregon summers is that its gets hot, but it doesn’t stay hot all day. A breeze and cooler temperatures come in the evening. 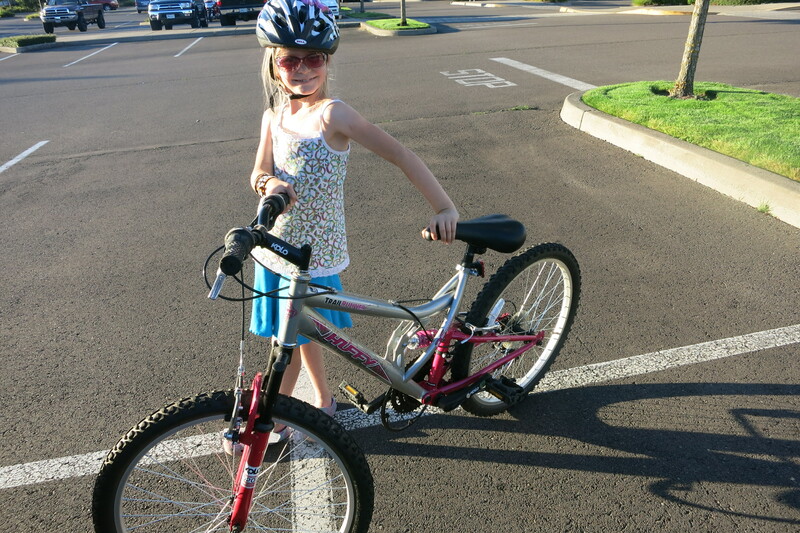 So the oldest and I drove to Keizer where we biked along one of the few bike paths (we really need more!) in our town. It’s a small 3-4 mile stretch that goes along the Salem Parkway, but you don’t have to deal with traffic and many intersections. I love it that we can now bike together. 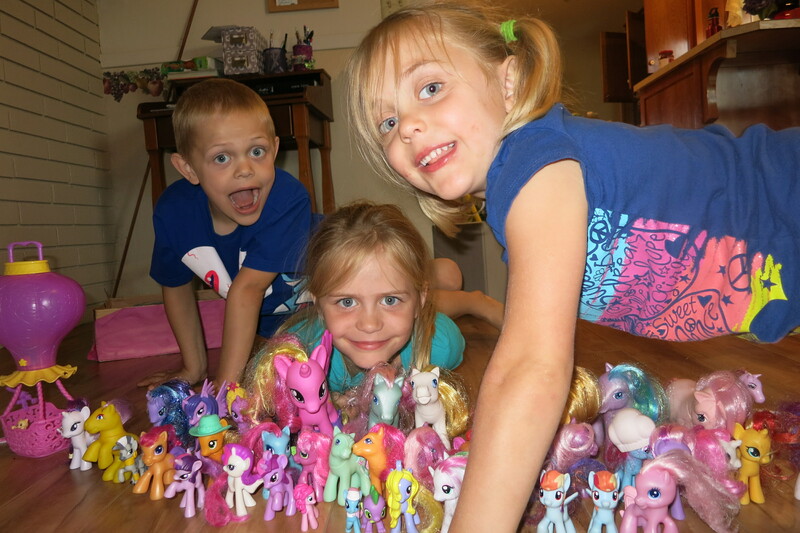 On Wednesday morning the kids all decided to play My Little Pony together and wanted a group photo of all the ponies. Two of them are my ponies from when I was little–unfortunately one is tailless. 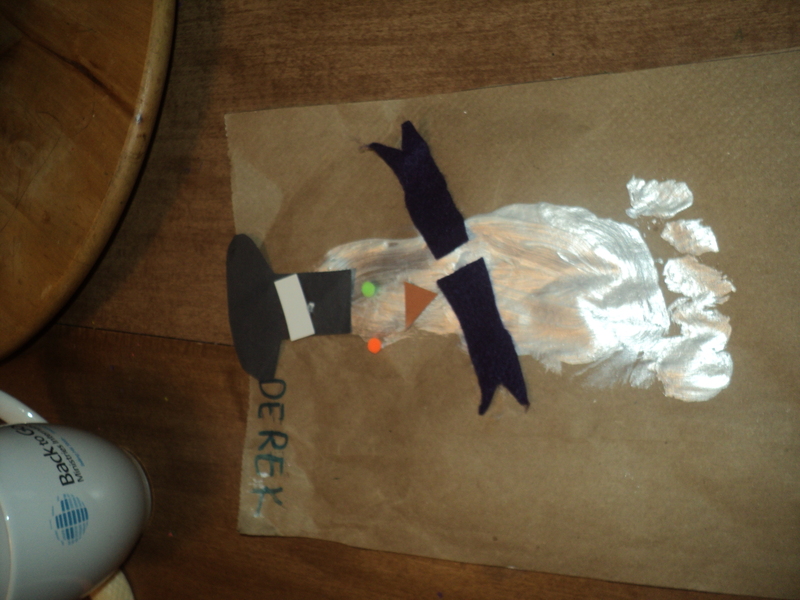 Somehow Batman and the Joker were included the ponies activities…which works when you have a boy and two girls. 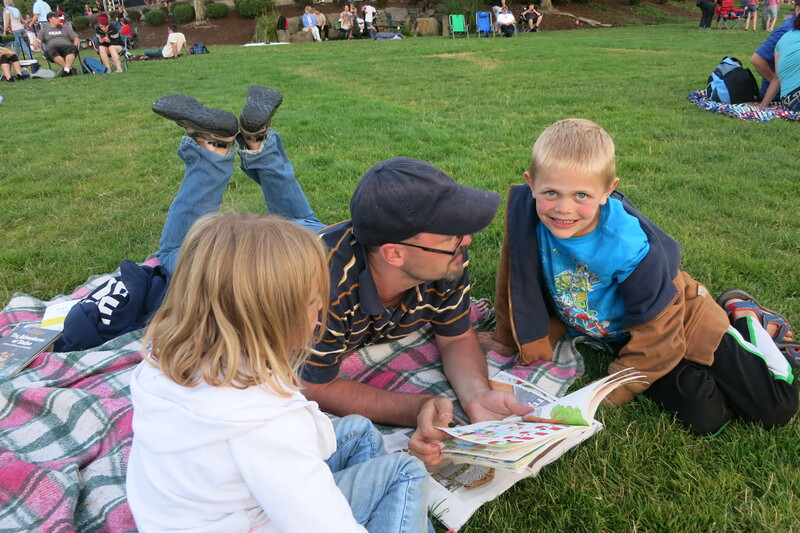 I LOVE watching my kids play together–LOVE listening to them making up stories. Yesterday was the 4th of July–one of my favorite holidays. 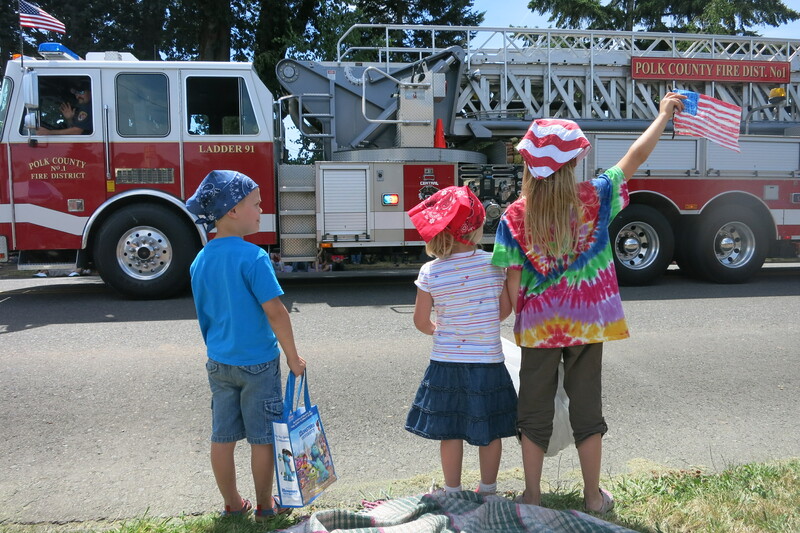 For the past three years we have gone to the Independence-Monmouth Parade. We sat closer to Independence like last year. Thankfully this year they did not run out of candy until they got to us. 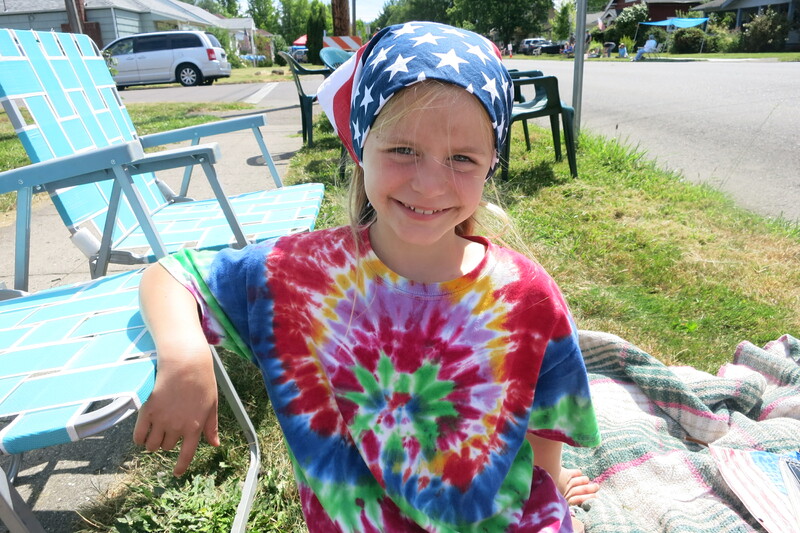 The kids wanted to wear red, white, and blue bandanas. Which was great because it protected their heads from sunburn. Our original plan was to go to our friend’s house after the parade and spend the rest of the afternoon and early evening there. They always put on a fabulous 4th of July celebration. Due to some unfortunate sickness, they had to cancel. We had friends come to us last minute and we set up the slip and slide. We had a nice outdoor dinner with them. Then just our family headed downtown for the fireworks–the first ever 4th of July we all went to a fireworks show as a family. 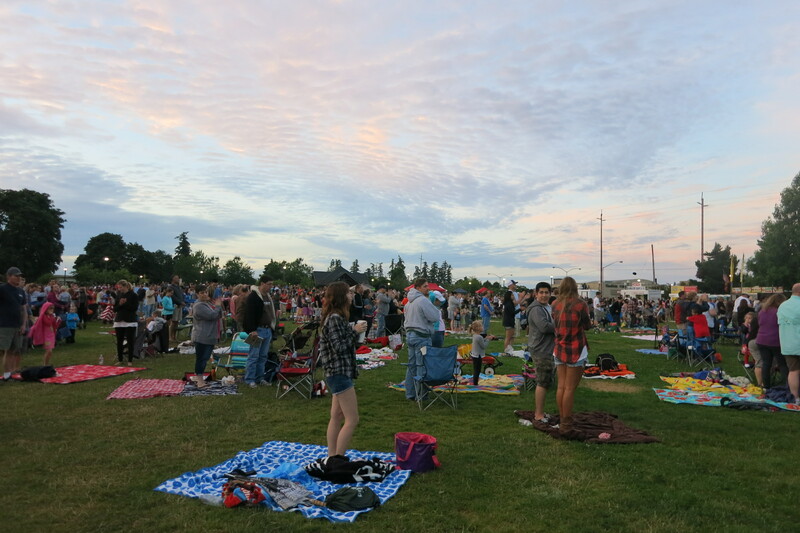 I had not been to a fireworks show since 2006! This is a picture of everyone standing for the National Anthem. We got there early enough so we did not have to fight for parking spaces. So we had time to read stories. And dance to music from a local band. 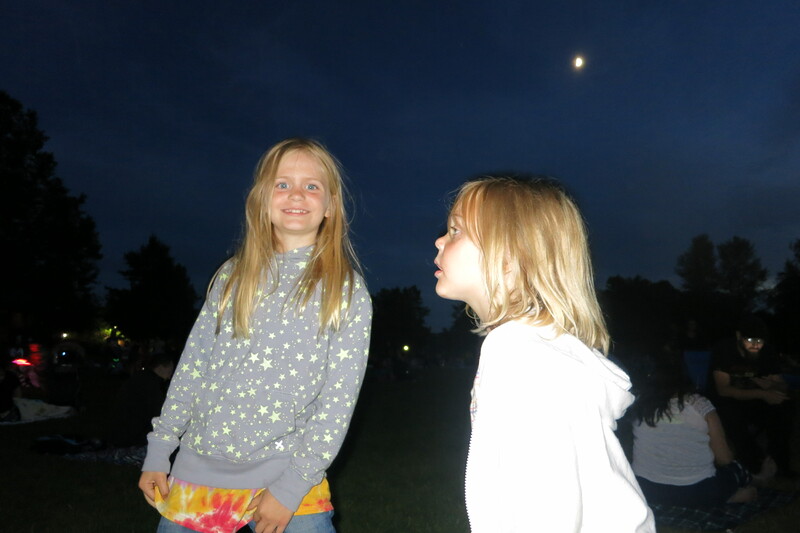 The kids did fine with the change of plans and all in all had a great 4th of July. Next week is supposed to be HOT again. We don’t have as much planned, but I am sure we will find plenty to do to keep us busy. Week #2 of summer. The unfortunate thing about this week was my seasonal allergies got so bad that I had a pulsing sinus headache that knocked me out most of Tuesday. 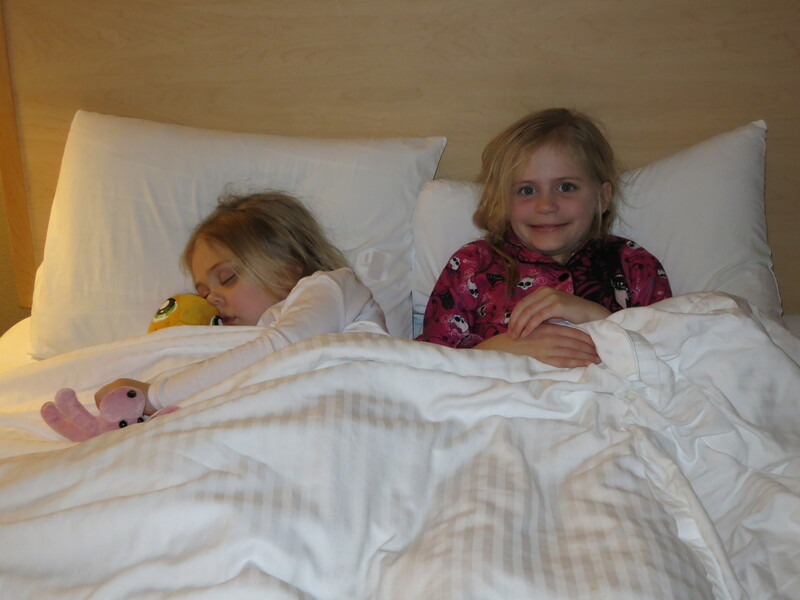 The fortunate thing was the kids are old enough that I could sleep while they played on their own. Especially because I took a Sudafed PM on accident instead of AM…so that pretty knocked me out all afternoon. The kids can work the TV (and they know only 1 hour in the morning), make their own snacks, get their bikes out of the shed, etc. The husband works next door to our house so he could check in on them every hour and was home for a full hour during lunch. The oldest knows how to use the phone. It was a little anxiety ridden for me at first–“They’re unattended!” Yet they are 8,6, and 4 now…it’s not like the days of laying on the couch sick letting toddlers run around and hoping nothing gets destroyed. But that was only one day…one day of an overall pretty good week. It is the week before VBS and I am directing again this year. What seems to be a daunting stressful job for many has become doable…and even fun…for myself. It took many years of trial and error to get to this point. While I know I won’t direct forever (I already warned my church this is not a permanent thing!) it has been a great volunteer position for me this year. Lots of people stepped up. 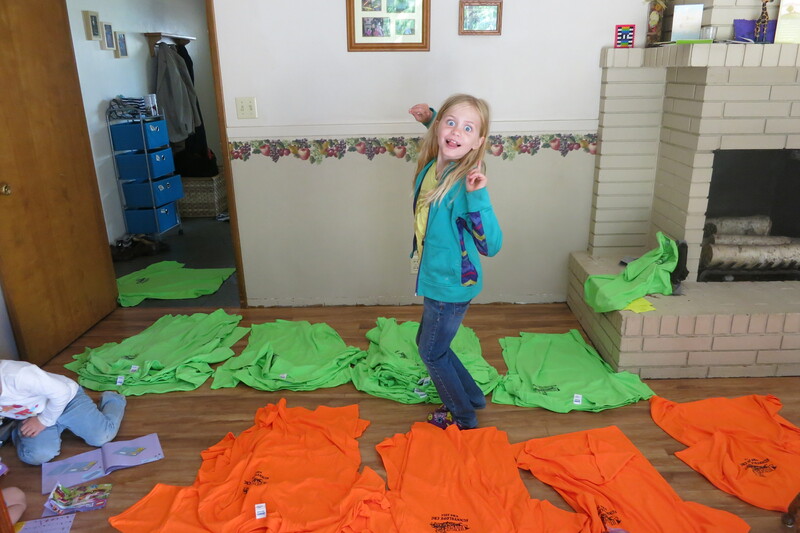 Because my oldest is doing odd jobs to earn money for her mission trip to Philadelphia this month, she helped me sort volunteer t-shirts, name tags, and helped my friend set up decorations. After being sick on Tuesday, I was itching to get out of the house. The weather was beautiful! My head still was not quite right in the morning. By 3 PM I decided to bite the bullet and take the kids biking. I knew they would go slow and we could take breaks as needed. It was our first bike ride together on a trail. My youngest’s bike is not in the greatest condition and the training wheels don’t stay in place so that created a few falls…and stops. But overall everyone had a great time. 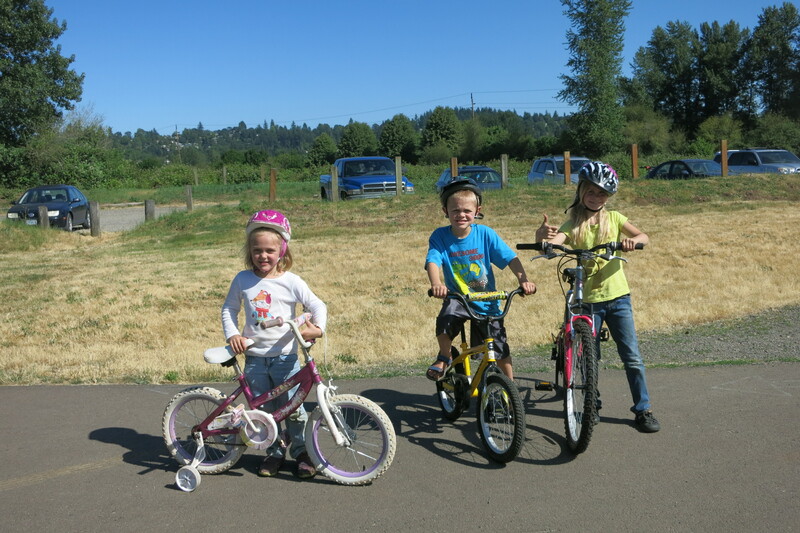 It is difficult for me to bike with all three of them because I have a racing road bike. I bike in clips (though I am still a rookie and learning how to do this). I am too nervous about biking slowly behind them especially when they stop suddenly…not sure I could clip out that fast. 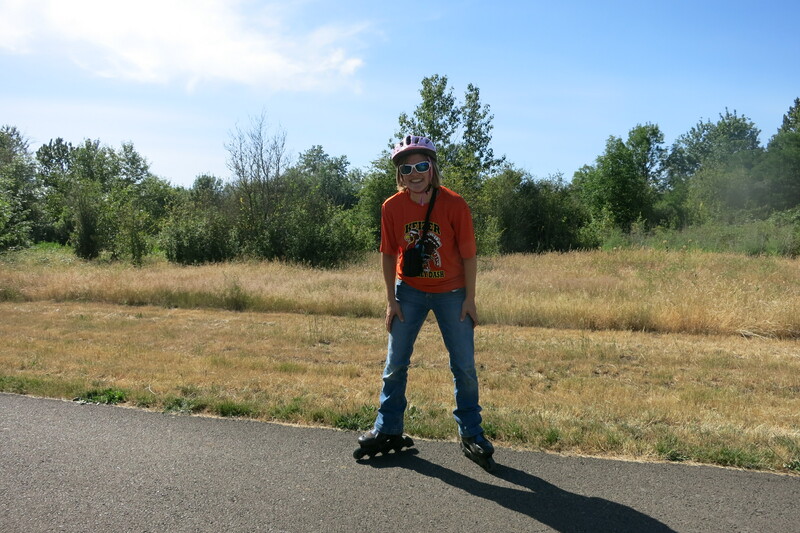 So I wear my 90’s style roller blades…and I still get a good workout too. Because I was feeling so much better, I decided to play street hockey Wednesday night. 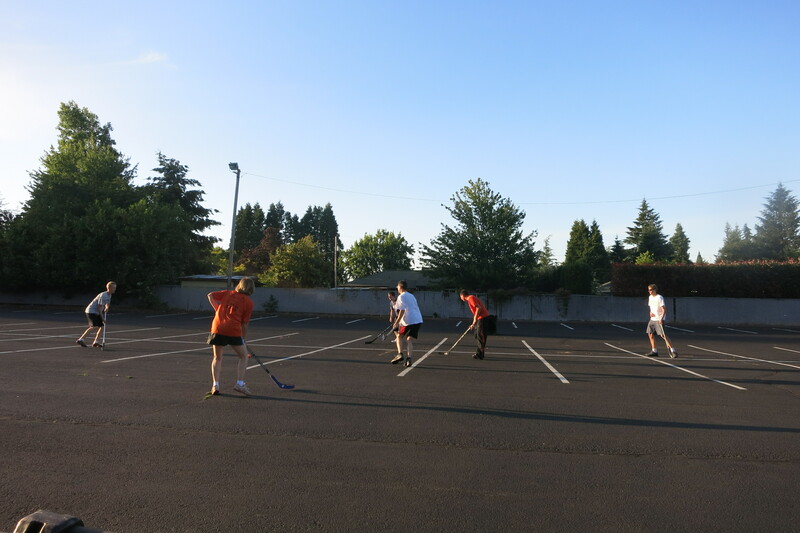 Some guys from our church started a Wednesday night hockey night in our church parking lot. I don’t like to play volleyball or basketball–but I won’t turn down a game of hockey…even I have not played since junior high intramurals…and we’re talking over 20 years ago! 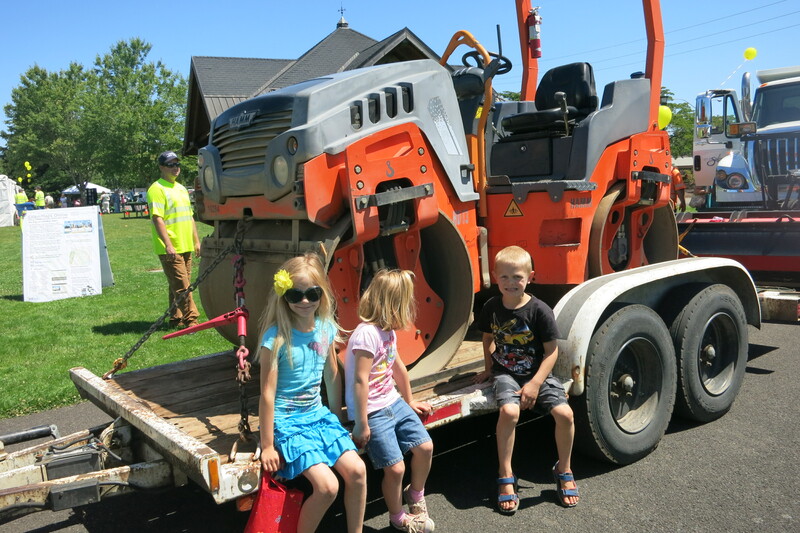 I took the kids to the Public Works Day at the local park. It is when the Public Works department comes with all their big trucks and educate the children about what they do. There is also some bike safety education, games, face painting, and free lunch. 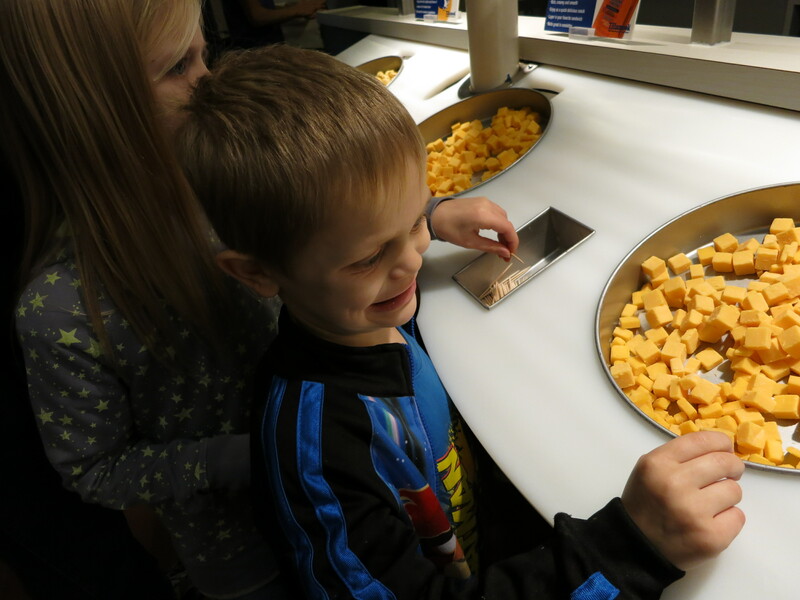 My kids went last year and loved it…so we had to go again. We have been trying to teach the children about other cultures. One of the best ways to do that is with food. 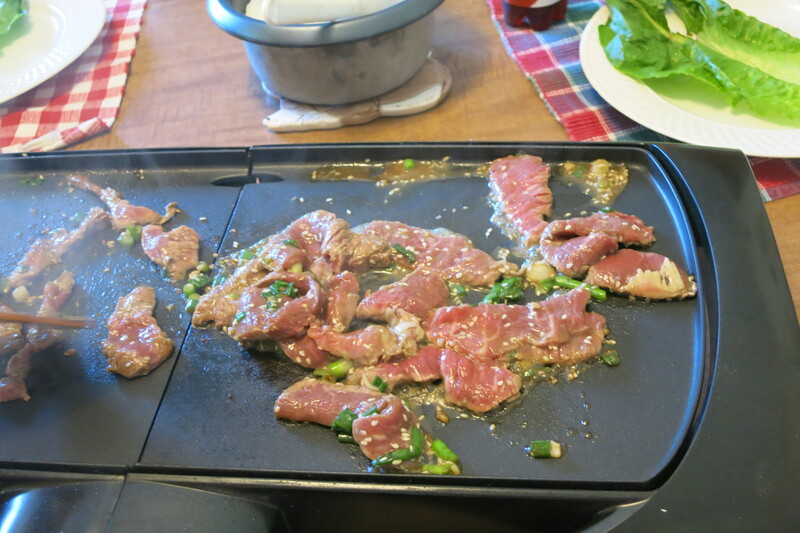 The husband made a Korean barbecue and then we had the kids read a website about the country. We quizzed them about what they learned. I am not sure what country we will do next. Ethiopia? Indonesia? Greece? The kids want to do Mexico, but I would rather do one that is going to be more of a challenge…and different. We ended the week by going to Eugene for part of the day. My friend Linda who was in the youth group I lead back in Michigan was playing in an ultimate frisbee tournament there. I visited her over Spring Break in May in LA where she currently lives. This time she got to see the husband again and meet the kids. We were able to watch her game and go out for pizza…this is a picture from when were in LA together. I was a dork and left the camera memory card pack home in the PC yet again. 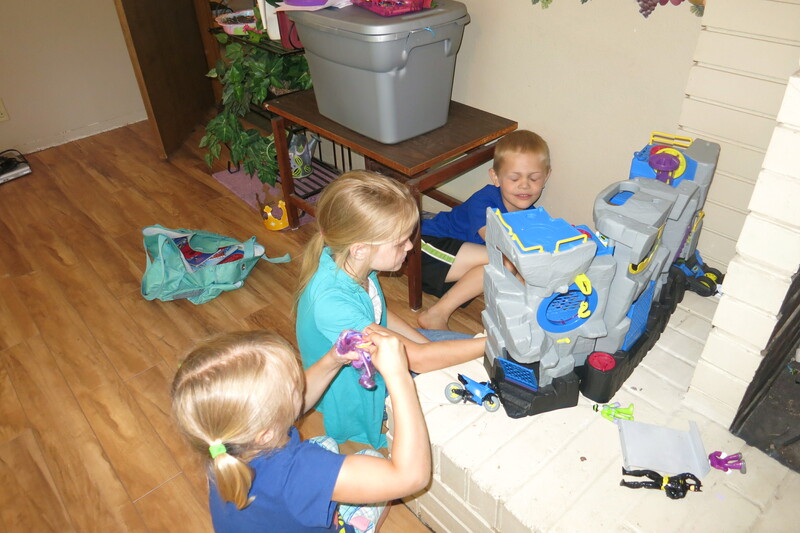 Now on to VBS week–where our week will be pretty much be VBS and not much more! I flew into Chicago and the next day we drove to our old hometown of Lafayette, Indiana. This was the first time ever that my parents and siblings were together without our spouses and our kids. 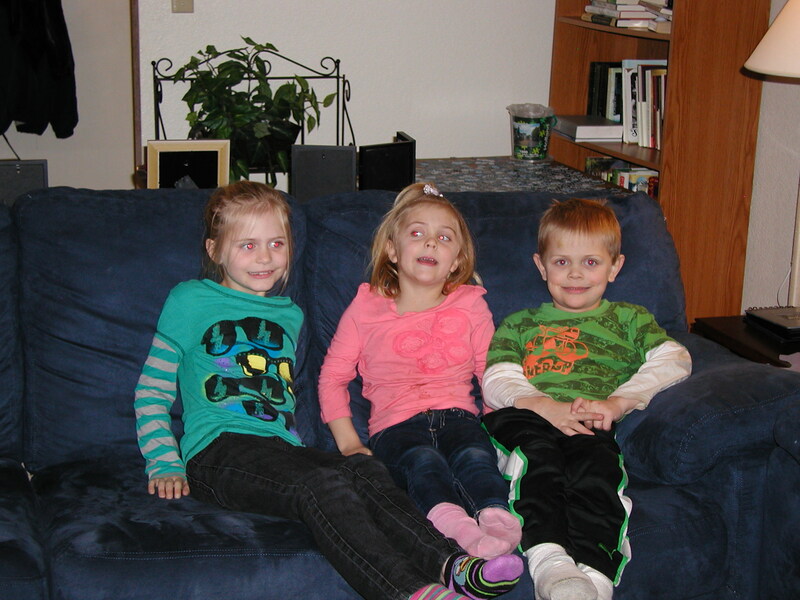 It made me realize how much I miss my brother and sister (and thankfully and hopefully have plans to see them again in 2014–don’t have to wait another year!). We all drove in one car to Lafayette. The joke was that Mom would bring her candy bag (a small Zip Loc bag with Brach’s candies she always took on trips) and we would fight in the backseat. 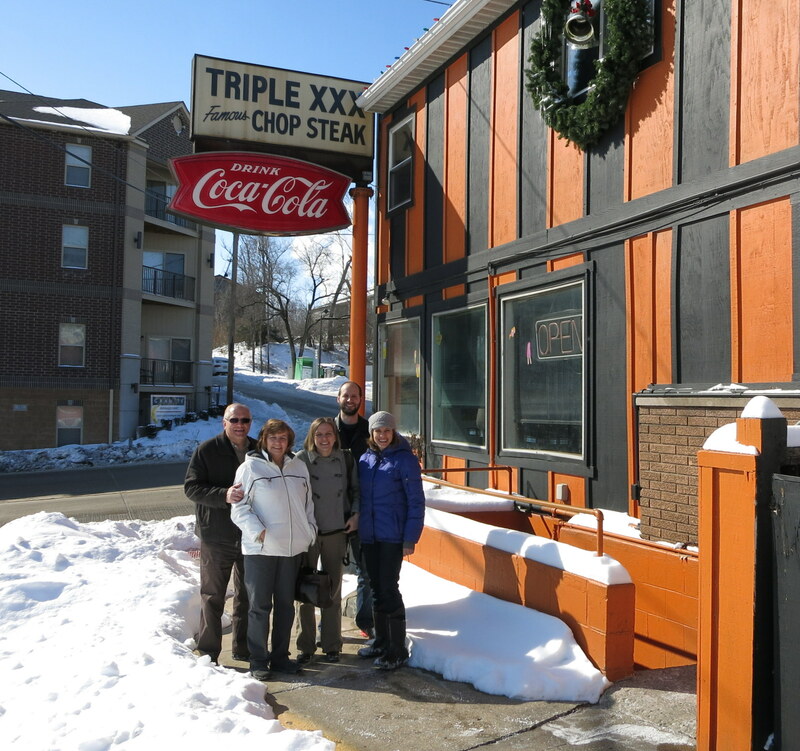 We had lunch at Triple X restaurant which was featured on the Food Network’s Diners, Drive-In, and Dives. It’s on the outskirts of the Purdue University Campus. 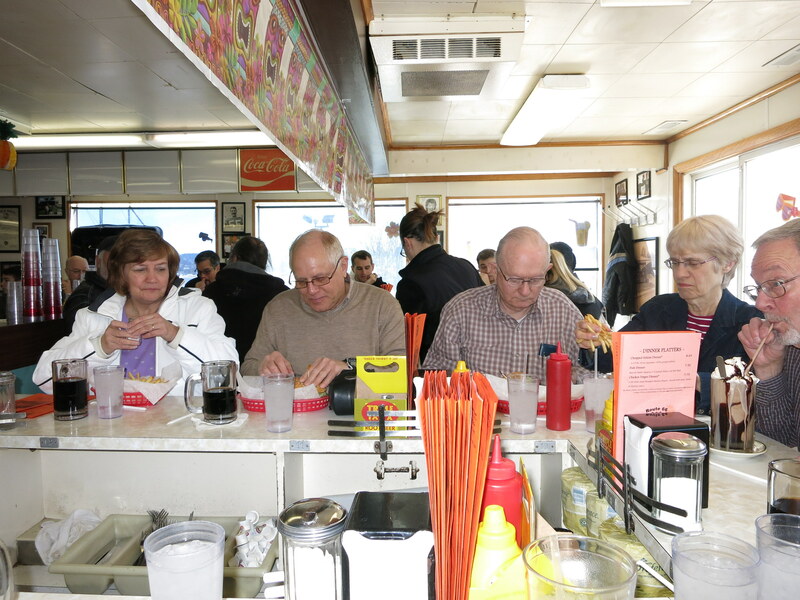 We had the honor of eating lunch with some of my parent’s friends–one couple who was our next door neighbors. I remember them as forty something parents juggling their three kids, carpooling to sport activities, and volunteering at our school. Now that’s my phase of life! My parents friends are all grandparents and it’s a little weird. But some things change, others stay the same. 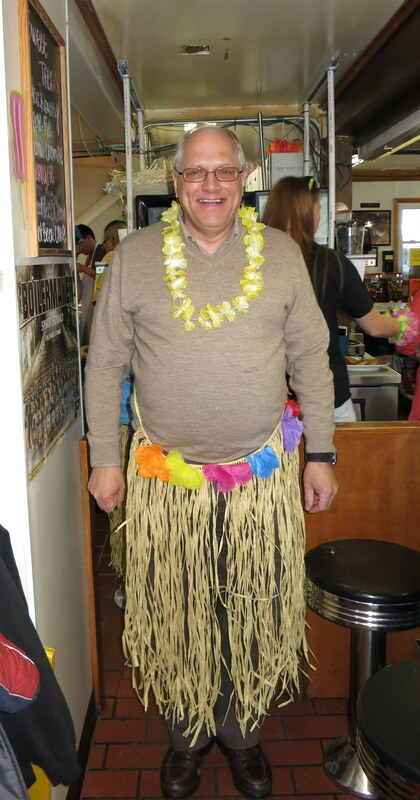 My dad is still goofy and the life of the party. 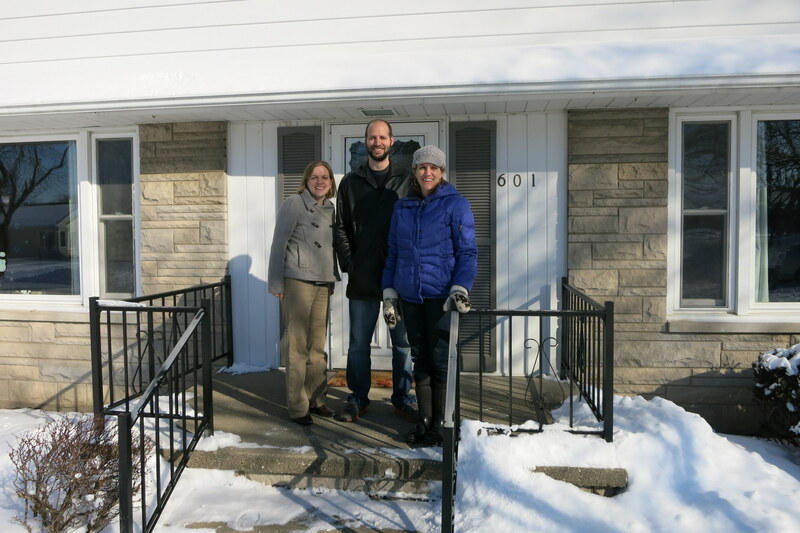 We visited our old church, Lafayette Christian Reformed Church. I am somewhat in a state of awe when I am in the church sanctuary where I grew up. The first row on the right hand side of the balcony was our family pew. Almost every seat was filled right to the very back of the balcony. The church has changed greatly since the 1980’s, but I will have always have a special place in my heart for it. 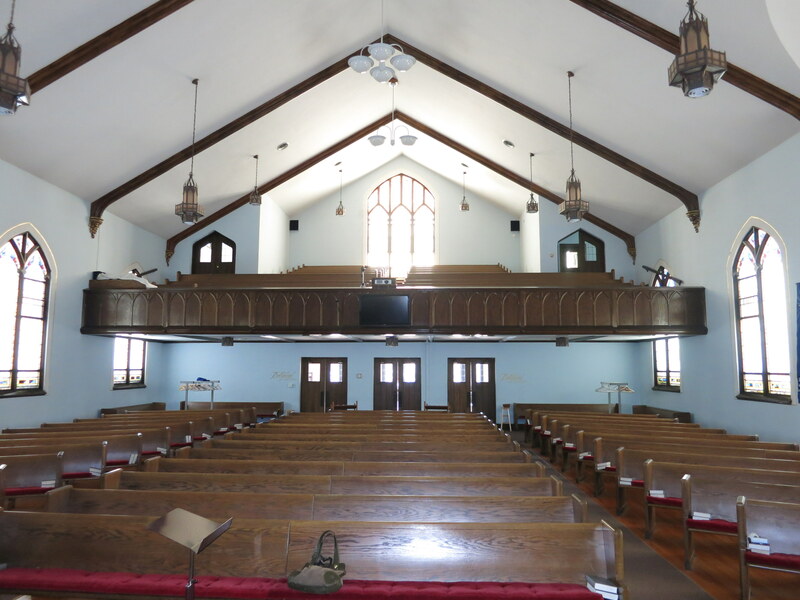 Sunday School, VBS, racing under the pews after evening service, pot lucks–all part of my childhood. 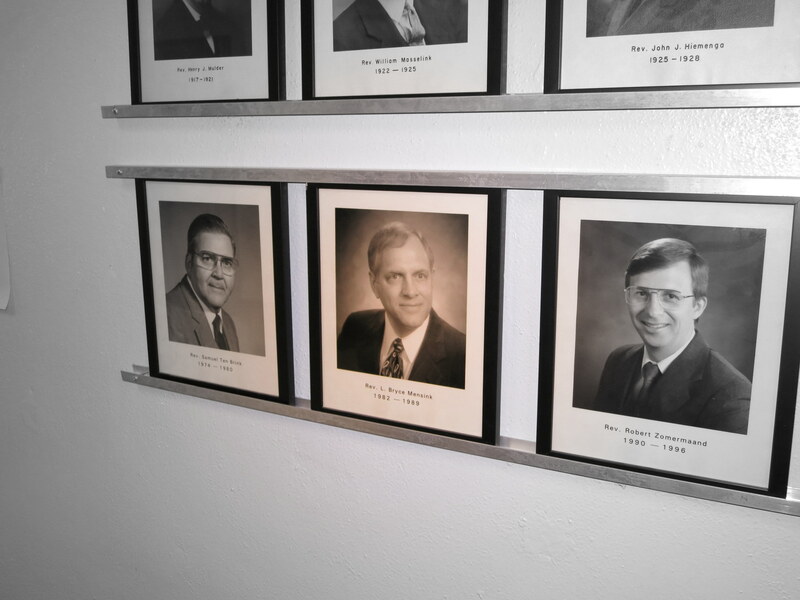 The church put “a wall of pastors” in the basement. This is the younger 1980’s version of my dad who served from March 1982 until August of 1989. 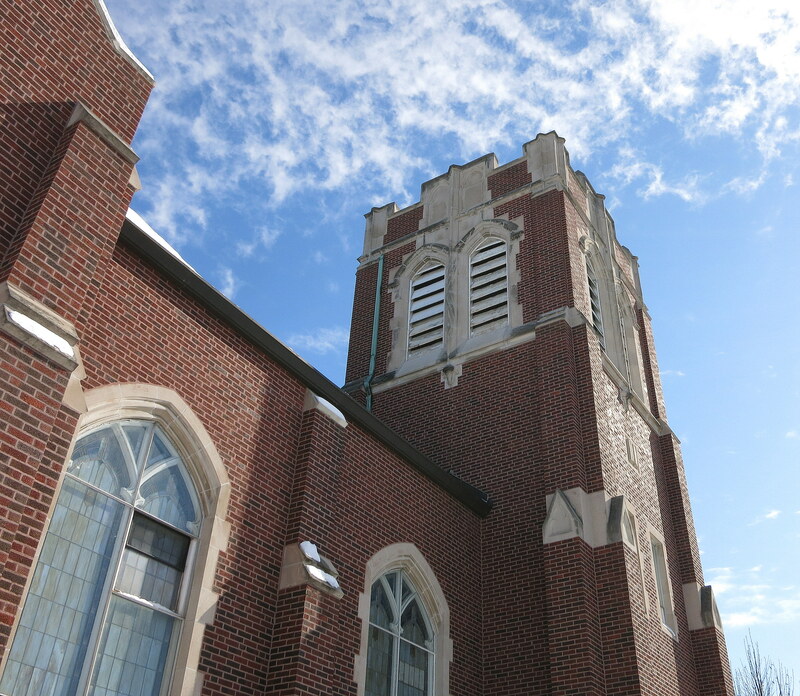 The church I grew up in was an amazing beautiful building constructed in 1929. I always remember the huge stain glass windows. 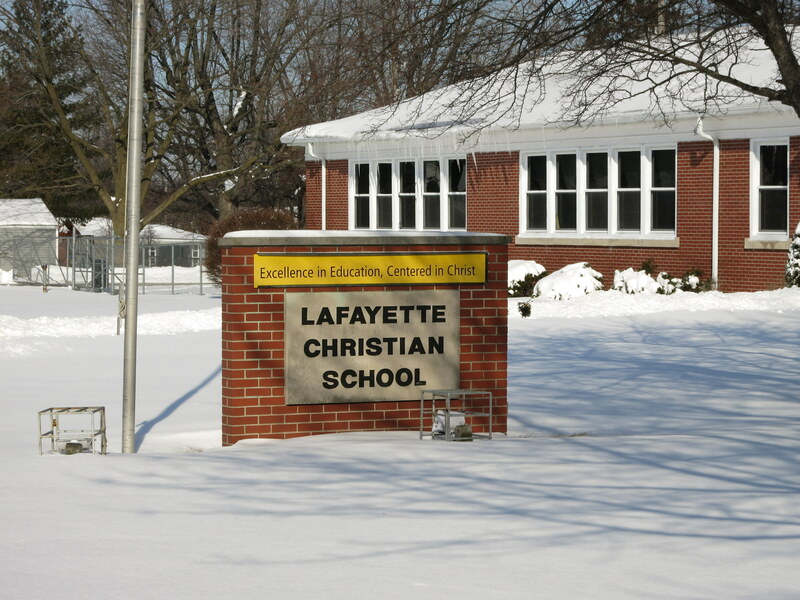 I attended Lafayette Christian School from kindergarten until sixth grade. I lived next door to the school so the playground was my prime hangouts before and after school and during the hot sticky summer months. 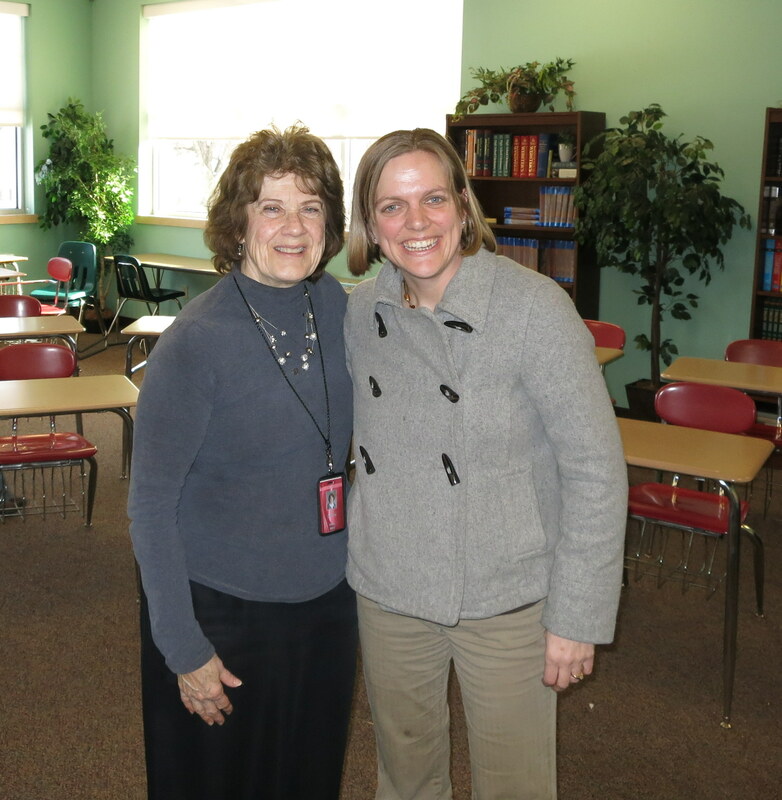 It was a tremendous blessing to see Mrs. Buchman. She was my first grade teacher for the last quarter of the year and my sixth grade teacher. She is still teaching! Obviously you have teachers that are memorable and that touch your life a little more than others. She was one of them. I always felt safe and cared for in her classroom. She threw a surprise going away party for me right before I moved to Michigan and I’ll never forget how much that meant to me. This was our house. The current pastors (husband and wife couple) live here. We felt a little intrusive going in their house while they were on vacation. They have fixed it up nice. 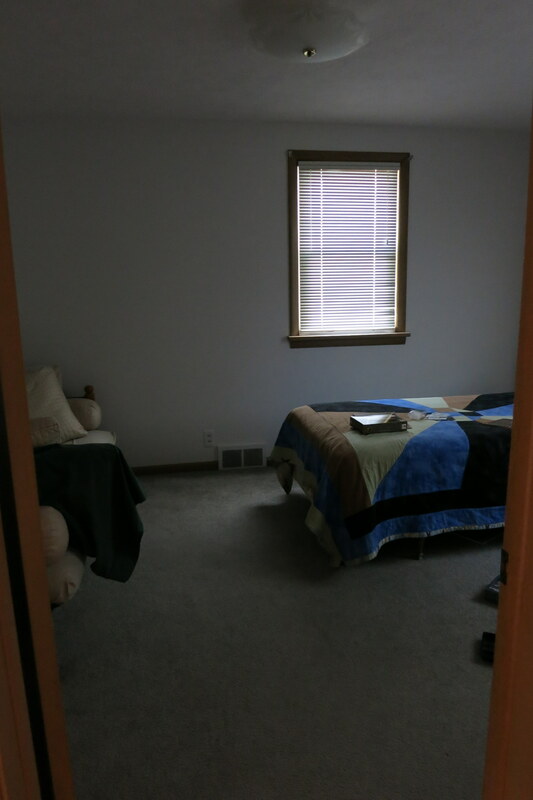 I felt a little guilty taking this photo because it’s not my house, but this is my former bedroom. It didn’t look anything like this. I had greenish yellow walls, yellow curtains, and yellow shag carpeting left over from the 1970’s. The closet door, however, was the exact same. 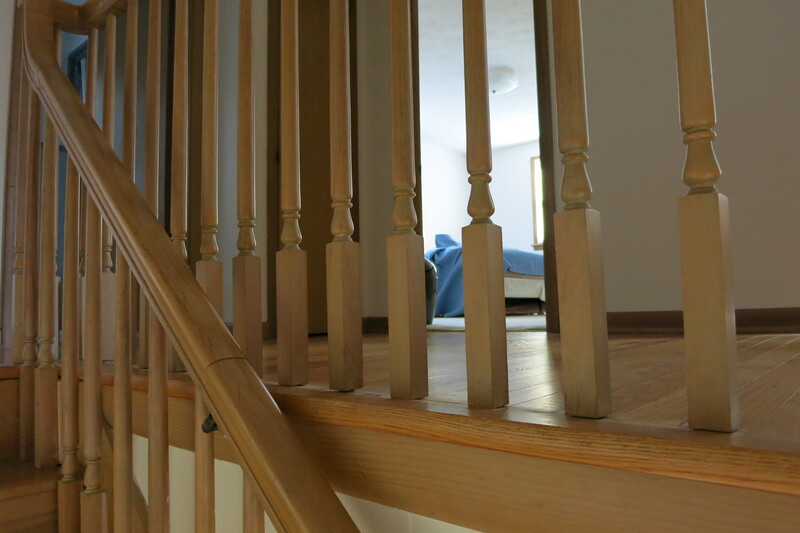 For some reason when I think of our old house, I always remember this banister. I think I used to sit on the stairs and stick my head through the posts. Then back to Chicago. My uncle came and visited us. We have a picture of us three kids approximately ages 3,7, and 11 wearing Chicago Cub baseball caps sitting with our uncle. My dad tried to reinvent the photo to 2014. 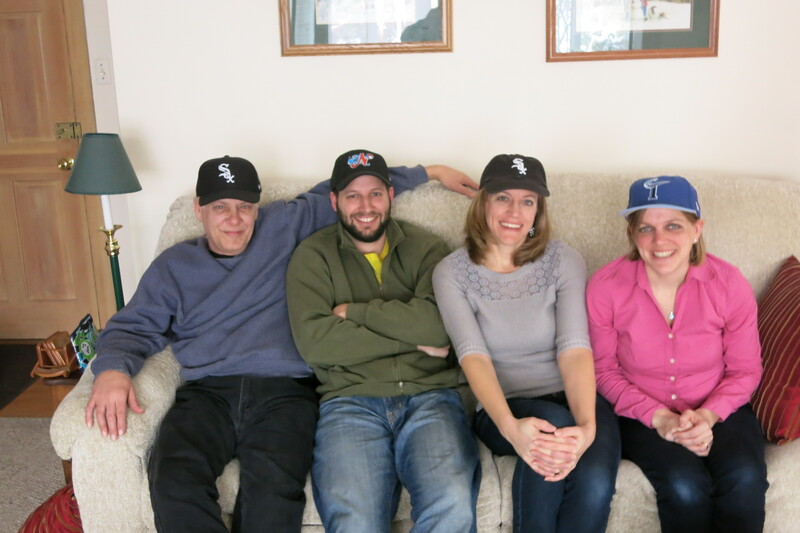 The only problem is he doesn’t own Cubs hats–since when did my family all become White Sox fans? 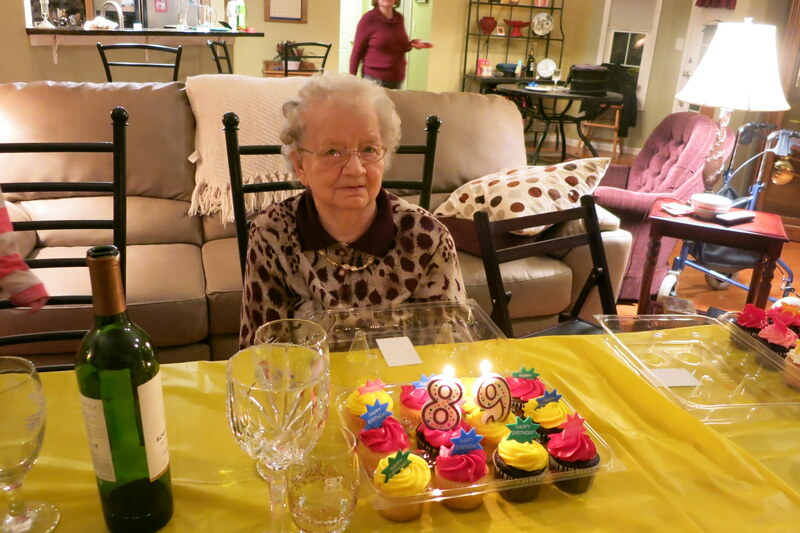 Our real reason for all meeting together was to celebrate my grandma turning 89. I have fond memories of visiting Grandma in Chicago as a child. I remember her serving large scoops of chocolate ice cream, playing Ker Plunk in the basement, riding the “horsie swings” at the park and listening to the trains come through on the tracks behind her house. When I was in college she had a heart attack and I really thought the Lord was going to take her home. It’s hard to believe that was sixteen years ago. It was a blessing to celebrate her birthday with her! While I was in the Midwest, Oregon got hit with a major snow blast–the most snow we have seen in years. The whole city pretty much shut down. At one point you could not leave your house unless you had chains on your tires. My kids had two snow days in a row, church was cancelled, and my husband could not even order a pizza. 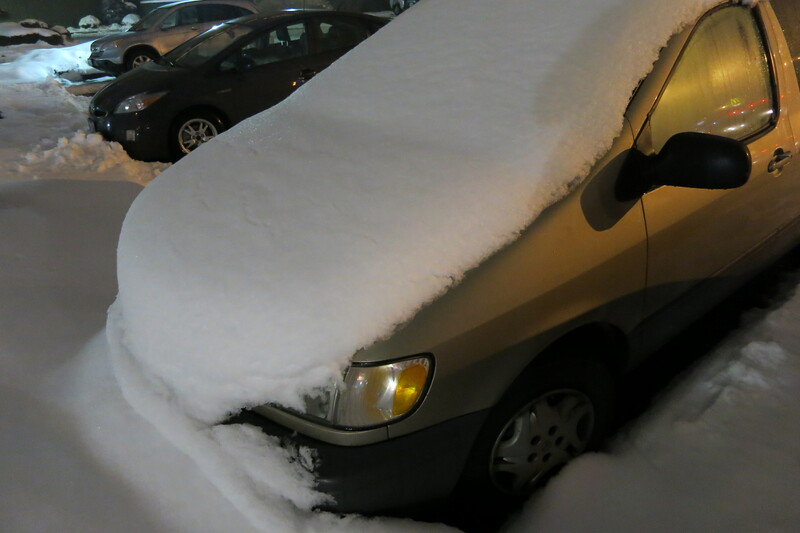 Meanwhile I had left the van parked in a car pool lot and this is what it looked like when I got back into Oregon. I don’t own a snow brush so I had to put a plastic bag over my hand. I was grateful the day after I came home was another “snow day” (although now we don’t get Good Friday off and go an extra day in June) so I could get some cleaning and organizing done before the child care kids return. What a blessed trip! I’m grateful I got to be a part of it. I even got to go running (on treadmills) with my dad and sister. I missed posting December 15 – 25. Life got full, busy, and chaotic as it usually does. Blogging got put on hold. 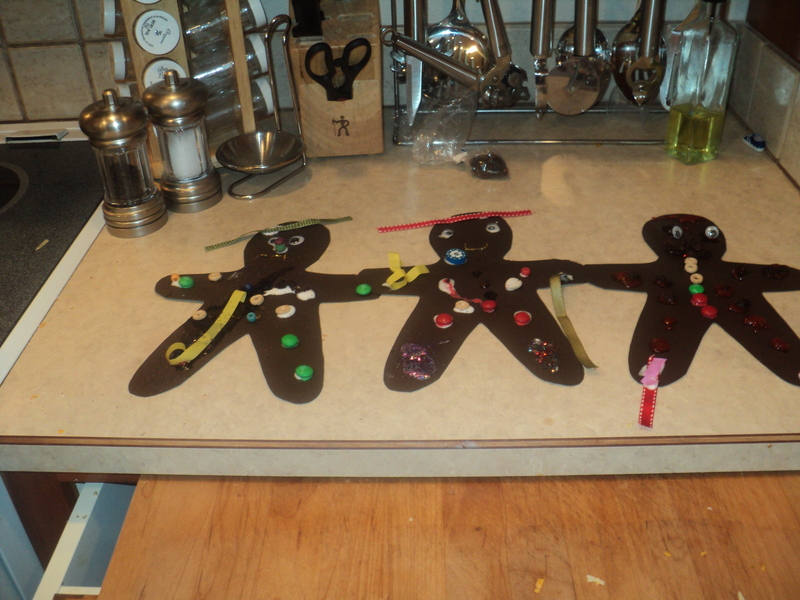 But paper ginger bread men were decorated. 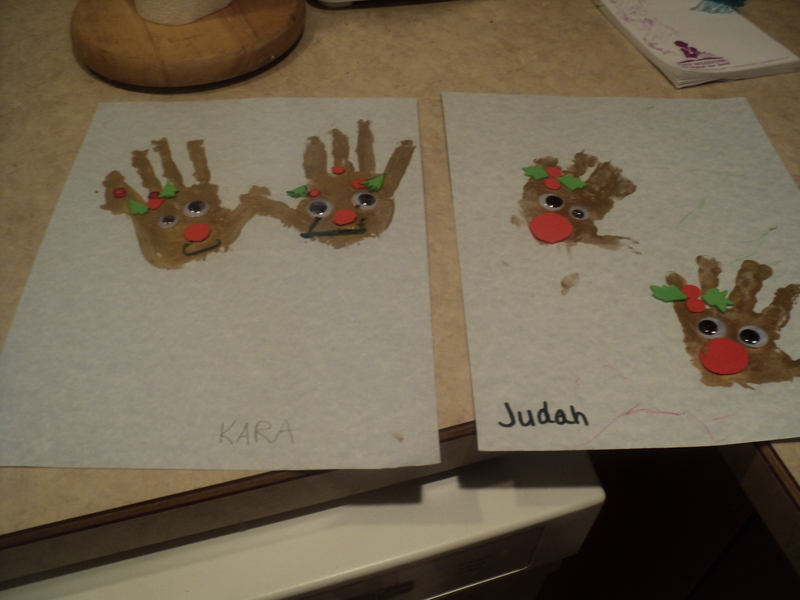 Reindeer were made with hand prints. And snowmen made with footprints. 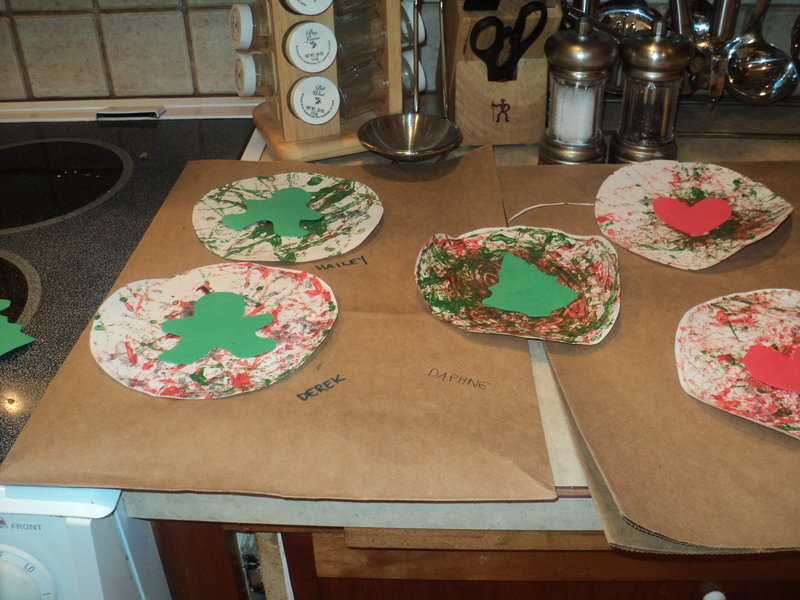 And beautiful Christmas designs made with marbles dipped in paint and swished around in a pie plate. 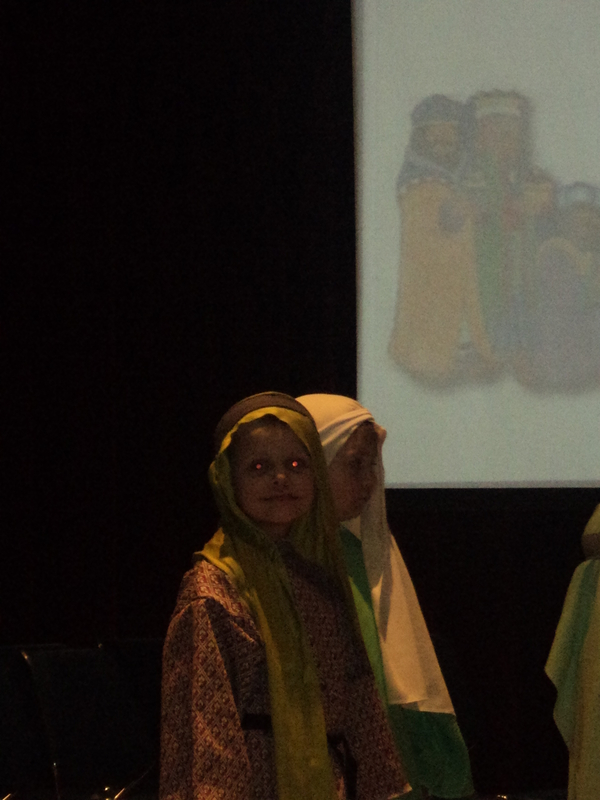 The Christmas story was shared by the cutest preschoolers and kindergarten kids. 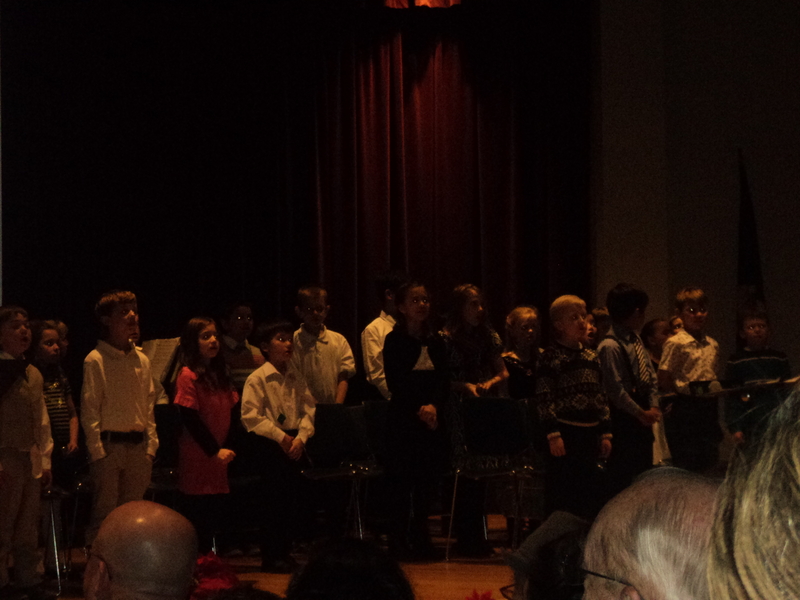 And the 1st – 8th grade members did an amazing job sharing about the real meaning of Christmas. We purchased a “new to us” van two days before Christmas. 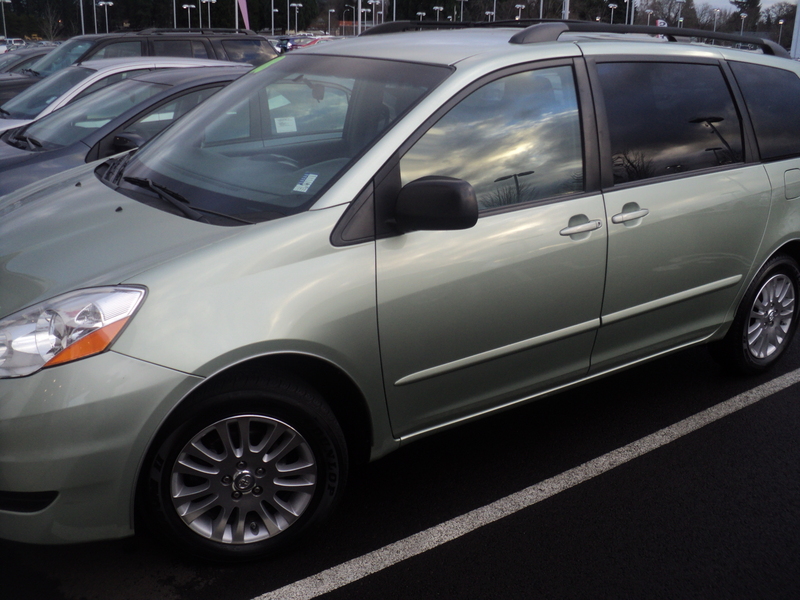 We’ve gone 9 years and 6 months as a one car family and grateful for all the money saved. A second vehicle is now going to make driving kids places just a bit easier. Chocolate fondue was shared on Christmas Eve. Christmas Day included stocking and presents. 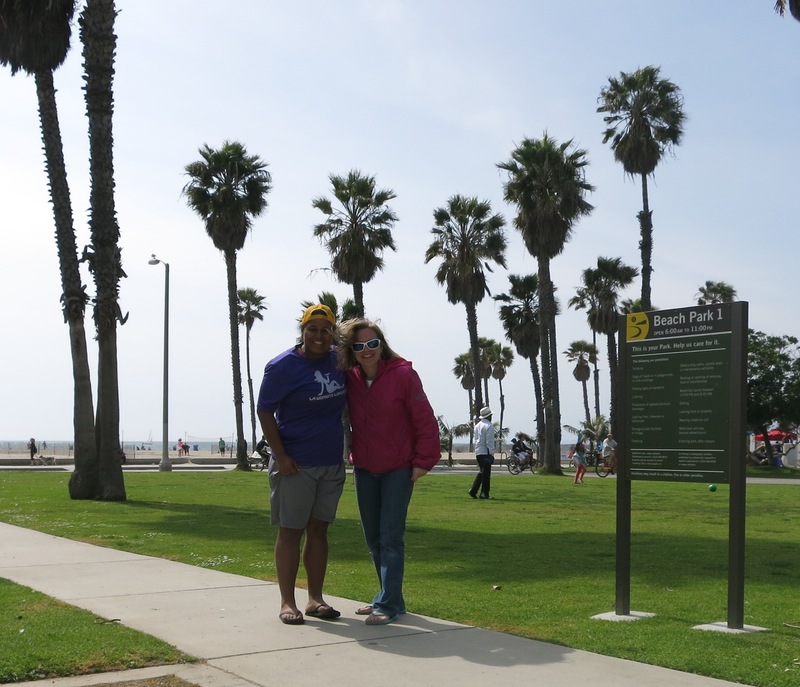 And later on a relaxing trip to the coast–one of our favorite places. And a day trip to the Tillamook Cheese factory for some cheese sampling. A great last two weeks even if it wore some us out. Looking forward to New Years Eve and a second week of Christmas Break. Our Saturday with Grandpa and Grandma aka my parents began with a morning of swimming in the Phoenix Inn motel pool where they stayed. Then then they took our oldest our for lunch (each child got his or her own turn going out for a meal alone with Grandpa and Grandma–so special for them) and brought her to a birthday party. Later in the afternoon we saw the movie Frozen which I highly recommend. 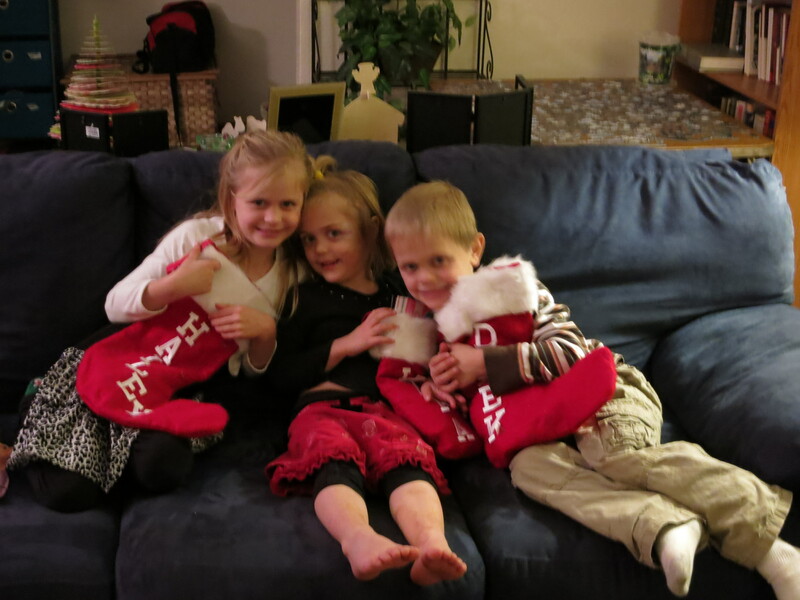 Then three overly excited kids opened presents from Grandpa and Grandma. 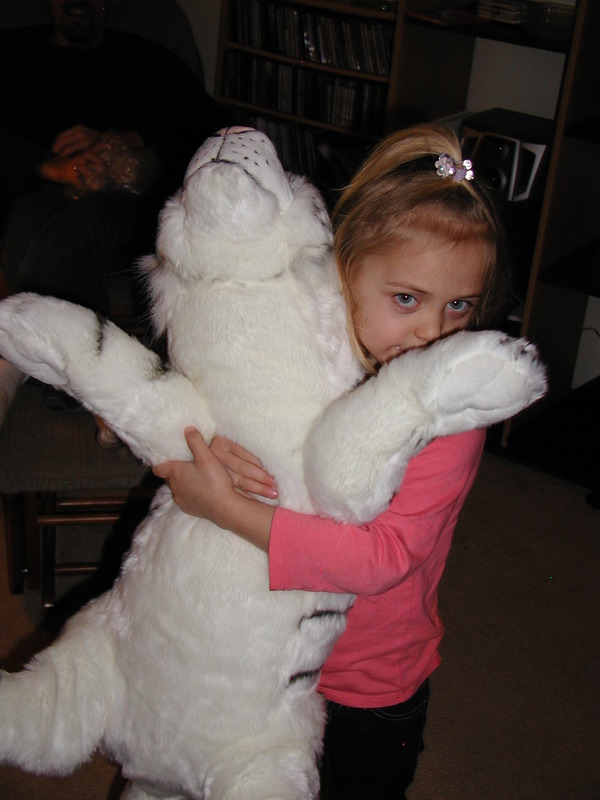 The youngest was thrilled to get her own white tiger! This soft cuddly creature now shares her bed with her. 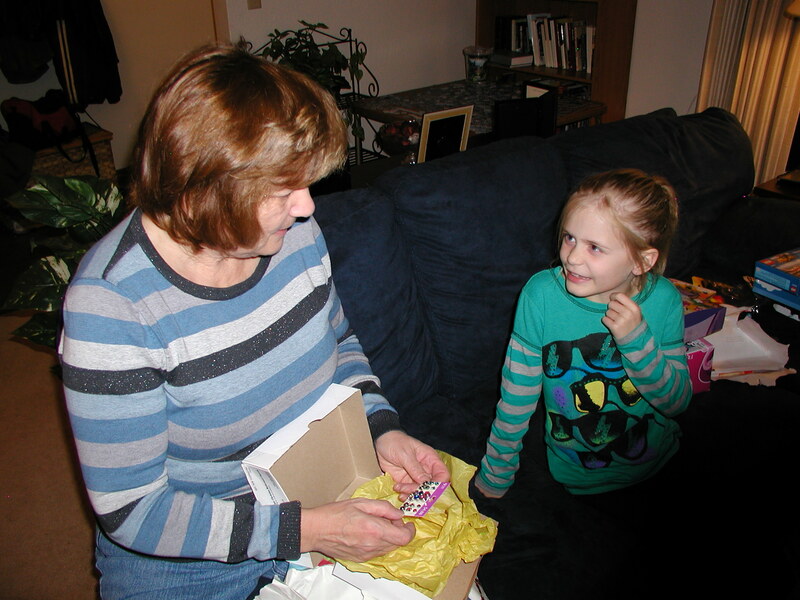 The kids each got small gifts for Grandpa and Grandma. Love it when Christmas comes early!